Looking to buy the tour press of When Broken Is Easily Fixed. Never got a chance to go to a show because of work and couldn't take off. My brother tried to grab me one at the show he went to but was unsuccessful. If anyone can help, I'd appreciate it. Also looking for a first press of Adornment by Grayscale. Preferably the sherbet color. Well my brother couldn't get one at the Lawrence Kansas. Got right in line when the doors opened and was too far back and they were gone by the time he got to the front. So, I'm back to looking. Also giving this another shot. Willing to pay more than retail + plus shipping for any help. I'm a Silverstein variant collector and can't make it to any of the shows on this tour. Nvm, my brother in Kansas offered to grab it for me! Good luck for the rest looking! If anyone is going to a WBIEF 15 Anniversary Tour show and can pick me up a tour press, I'd really appreciate it. Awesome! seeing them on the 15th, so I'll pick it up there. Thanks man! Anyone know where the Aside/Bside: Hot Pink and Classic Black variant is exclusive to? Can't find any info on it online. Also missed this because of the Hurricane last month. Closest show to me is Atlanta, but won't be able to take a Tuesday off. 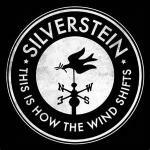 WTB: Silverstein - Retrograde 7"
Haha it's cool. That was the newdamage bundle I was referring to in my first post. I appreciate it though!